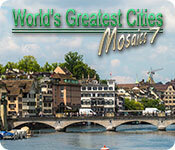 World's Greatest Cities Mosaics 7 is rated 3.3 out of 5 by 9. Rated 5 out of 5 by arnold1049 from EYE CANDY I purchase all the World's Greatest mosaic games as soon as they are released. 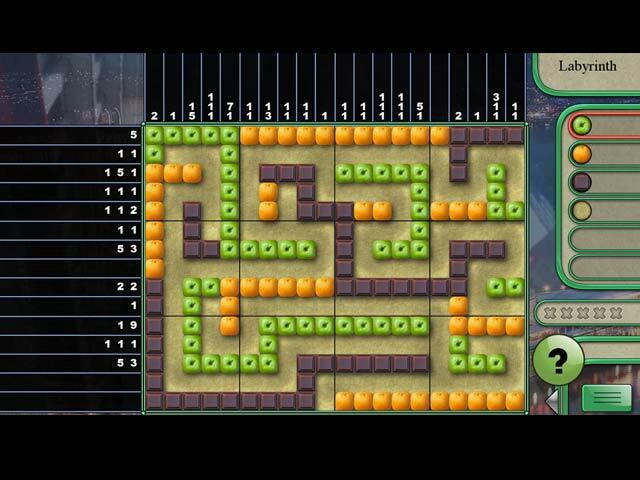 In addition to being great puzzles with lots of fun in solving, the graphics just blow me away. The beautiful colors, enchanting items, including flowers, fruits, sand and water, make me smile. The sand seems to shift, the waters to run and ripple, the fish to swim, etc. etc. The mix of colors is also great and fun to reveal as you solve the puzzle. Bright green apples paired with vibrant oranges, vivid pink and purple flowers, deep maroons, dark blues, the colors just go on and on. The developers of these games are to be commended. The graphics seem to get better with each game. I know there have been complaints about how slow the popup leaves the screen before play, but you have taken it a little too far on the other side. New players to these games will not have time to read it. You could slow it down a little, or make it a "how to play game" direction and remove the popup completely. For those of us like me, the popup is unnecessary as we have played so many of them. And even for new players, they don't need to be repeated with every scene. Keep up the good work. Rated 3 out of 5 by Calopsitta from Based on trial only This game, like others in the serie, has simply adorable graphics. But, for me, that is pretty much all. 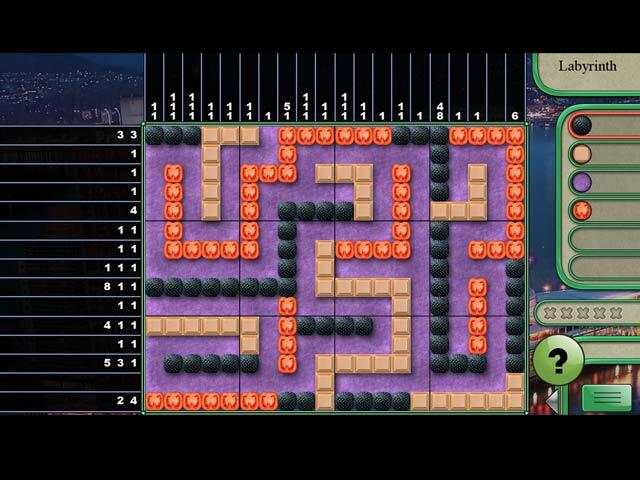 The grids are way too easy to solve to be interesting, and the only difficulty you can regulate switching among game playing modes is if you want to play against an easy to beat timer, a hard to beat timer of play without a timer. Since I personally hate timed puzzles, this is just not my piece of cake. Grids are so easy that you basically just have to fill up the tiles left to click on at each changing color. I would not find it entertaining even if I had to do it real quick to beat a timer. Even mazes, where you have to drive a ball to the exit, have basically just one way to go. Since others mentioned it, I investigated a way to disable the little flashing numbers, and found two. One is to go to the custom mode in the 'change difficulty' menu and disable it from the 'show segment lenght' button. The other is to click the button in the low right corner of the grid screen, just beside the big question mark. Of course, try for yourself if you like the game with its beautiful graphics and do not really care about more challenge, or even if you want to practice the genre in a relaxed mood! Rated 3 out of 5 by LanaPook from I'm disappointed. I buy most mosaic games. I prefer the ones that are more challenging like the Travel Mosaics series. This one has some nice features but.... the little numbers for indicating open spaces that appear each time you place the cursor on the screen are really annoying. I can count and prefer the uncluttered playing space without those numbers flashing up all over. I have bought all the previous games in the series. Not much interested in buying this. Unless the numbers can be disabled. Can they be disabled? Rated 2 out of 5 by meanbusiness from Get rid of the numbers I am sorry I bought this. I have all the rest and have really enjoyed the challenge. The numbers are extremely annoying and they can not be turned off. I would recommend that the developer program a way to do this. I am just going to archive in my played games folder until or if that is corrected. Rated 2 out of 5 by verimeri from loved the others but..... I loved the first 6 of this game but I find that little number thing very annoying. I cannot seem to find a way to turn it off. I can count by myself. I don't need or want little white numbers. So this is a no buy for me. Next time maybe that could be optional? 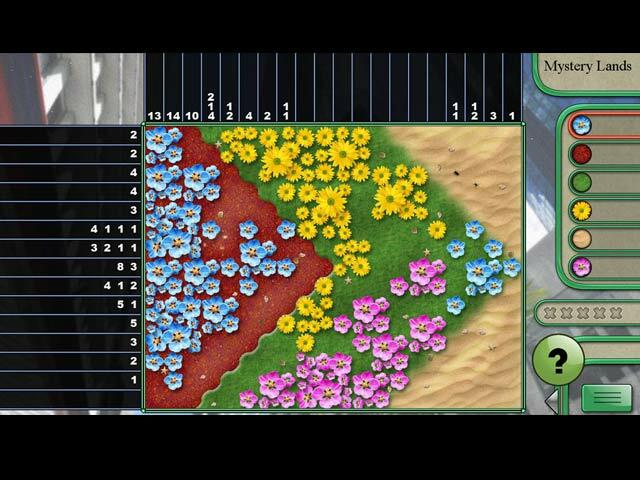 Rated 2 out of 5 by nwpeg from Confusing for me I couldn't tell the flowers from the grass or rocks. Hard to identify which tile I needed to add the next tile too. Frustrating so deleted it after 30 mins.